A former University of Connecticut student accused of going on a drunken, profanity-laced tirade about jalapeno-bacon macaroni and cheese was given a shot at having the incident erased from his record on Monday. 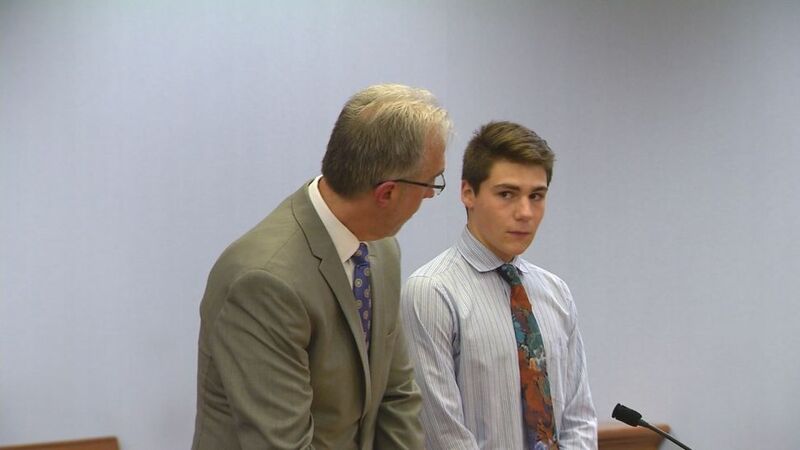 "I got nothing to defend," Luke Gatti said to the judge. "I am entirely ashamed of my actions and that's pretty much it." The 19-year-old was given accelerated rehabilitation, a form of probation that means the case will be expunged from Gatti's record if he avoids any legal trouble and complies with random drug tests. Gatti was originally charged with misdemeanor breach of peace and trespassing. Gatti, from Bayville, New York, was arrested after an alleged Oct. 4 outburst in the student union and accused of ranting at and shoving a university food-service supervisor, who had refused to sell him jalapeno-bacon macaroni and cheese after Gatti was allegedly caught drinking in the Union Street Market dining facility. The wild exchange was caught on a video that was widely viewed on the Internet. Gatti later apologized in a video of his own. "At the time, I was, to say the least, very intoxicated," Gatti said in his recorded apology. "When I watched the video a few days later, I couldn't even believe it was me in it. I was just watching it, thinking, 'Oh my God.'" The prosecutor objected the probation because Gatti had two arrests when he was a University of Massachusetts student, arrests on similar charges. Gatti thanked the judge for trusting in him. Authorities were impressed by Gatti's trip to Ecuador where the food court manager lives now, to gain his forgiveness. The student is no longer enrolled at UConn and school officials won't say if he left on his own or was expelled. He will be headed to SUNY Farmingdale in Long Island.